Top 10 Caribbean Music List! 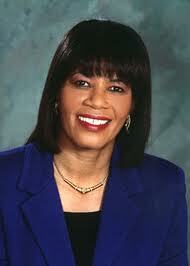 Jamaica’s current Prime Minister, Portia Simpson Miller is the only woman to have headed a Jamaican government. She has a deep understanding of the economic and social issues in Jamaica. At the Conference in Montego Bay in 2010, the Prime Minister, along with former Prime Minister, P.J. Patterson, spoke about the importance of investment, trade and regionalism. Now, Portia Simpson-Miller will address the 17th Annual Business Conference in Jamaica this November. Some highly successful corporate executives from the U.S. are expected to join their Jamaican and Caribbean counterparts at panel discussions and private meetings to explore opportunities for doing business. Over 120 executives of international, national and local firms from both regions, as well as elected officials in the state and local government legislatures and councils, are to participate in sessions. Additional business and community leaders expected to participate in the conference include: Former U.S. Ambassador to the United Nations; Reverend Andrew Young; former editor and publisher of Essence Magazine, Susan Taylor; until recently, NBC Universal’s chief diversity officer and one of the high-ranking television executives, Paula Madison; and Macy’s Senior Vice President, Ed Goldberg. “It’s a time of business opportunities and entrepreneurs must explore ways to take advantage of them. Jamaica, like many Caribbean countries, has experienced growth in tourism and in recent times, manufacturing, agriculture, construction and a variety of other sectors. Jamaica is well-placed to attract new investment in a variety of areas. 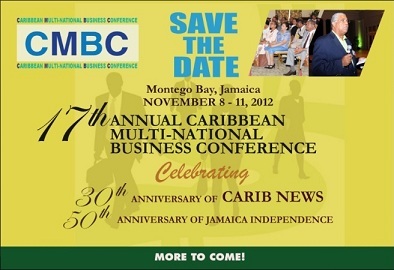 Over 120 executives of international, national and local firms in the United States and the Caribbean as well as elected officials in State and local government legislatures are invited to participate in the 17th Annual Caribbean Multi-National Business Conference which is set to place at the Ritz Carlton resort in Montego Bay, Jamaican between November 8th through 11th. Here, corporate executives from the U.S. join their Jamaican and Caribbean counterparts in panel discussions and private meetings to explore opportunities for doing business. Karl Rodney, the Publisher of the Newspaper and host of this conference, Carib News says “The global economy continues to experience challenging times, especially in Europe, the United States, Latin America and parts of Africa, Asia and the Caribbean. Aside from Jamaica, the business conference will also help present international trade and business opportunities for entrepreneurs and foreign investors elsewhere in the Americas. Former U.S. Ambassador to the United Nations, the Reverend Andrew Young; a former editor and publisher of Essence magazine, Susan Taylor; NBC Universal’s chief diversity officer and one of the high-ranking television executives, Paula Madison; and Macy’s Senior Vice President, Ed Goldberg are expected to participate in the conference.